We are proud to be the largest cavy rescue that serves the area of Sacramento, California. (Which includes: Folsom, Roseville, Rocklin, Rancho Cordova, Elk Grove, El Dorado Hills, Placerville, Stockton, Natomas, etc.) CNCR always has atleast one guinea pig looking for a new home that is available for adoption! So glad to have CNCR in my town. 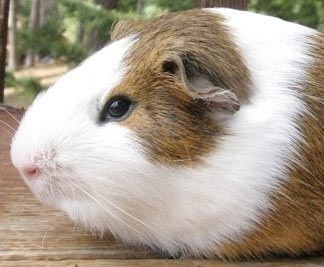 They have many wonderful guinea pigs available for adoption. Lauren is very knowledgable about them and did a great job finding the perfect piggy pair for our family. Easy to get a hold of, we scheduled a time to meet the adoptables and the rest of the process went smooth. Love what this rescue does, Adopt not shop! I'm thankful to have found this rescue. The young woman who runs it has always been there to answer a question and has taken a few of our piggies when we had too many. I had a very strange interaction with the lady who runs this rescue organization. She was extremely unprofessional, unorganized and scattered. It was difficult to coordinate times/locations with her and I felt EXTREMELY uncomfortable having her visit my home. I believe that her intentions are good, but I was uncomfortable disclosing my home address to her for fears that she would be stalking later.